I came across this question in a lecture about genetics that I was watching and it posed some thought. It was basically: Does society have an obligation to eliminate undesirable traits from the gene pool? If so, then through what process (genetic engineering, genetic screening + abortion) should be used? A more general question for the hippies would be: Is it O.K for man to eliminate traits which he might view as undesirable? I decided to post this in the politics section 'cause science and society rarely get any action and this is somewhat related to politics. Any question that starts with "Is it okay for society to...." or "does society have an obligation to... is automatically illogical. Society is what establishes ethical norms, the likes of which have no meaning beyond society's judgement. The creator of rules, cannot itself, break them, because in so doing, it has made new ones. "Should society have an obligation...." Is that better for you? I really don't want to get into a redundant argument about subjective morality. An obligation? No, I don't believe that it should have to do such a thing. Should it be aloud to if it wishes? Yes. Take for example that there was found a specific gene (or a set of genes) which represented an inclination of extreme violent behaviour coupled with psychopathic tendencies. Should society(inb4 Ike) take active measures to remove those genes from future offsprings? Just my opinion, but I think we should remove those traits if given the opportunity. Most of the objections are naturalistic fallacy in disguise. Perhaps "obligation" was too strong a phrase. May "right" is more appropriate. Does society have a right to do....? I would say they have a right to do that to their own society (but not to other societies). Will it be OK if a society considers a particular skin color to be undesirable trait and chooses to eliminate it? I think it would be best if we stop playing around with eugenics. I believe we've been through enough societal evolution to get beyond that sort of notion. I'm not sure. A genetic modification to get rid of undesirable human parts such as, say, the appendix, I'd be all game. As long as it's all voluntary, sure. After all, I'm already subconsciously choosing for certain baby-makin' features, might as well make it explicit & more precise. I subscribe to an objective morality, handed down to mankind by a supreme being. I think that denying people the right to procreate is evil, and the fact that there could be a benefit to it makes no difference; no one would commit evil unless it benefited them. If this was allowed, would it not fringe on people rights? Wouldnt they be depriving people of who they was meant to be? I would think that every part of our body and mind is meant to be just the way it is. Why do we see need to mess with what has worked and been supplied by nature? It's not just to limit procreative rights and I can see this being abused. Indira Gandhi tried this in India to limit population expansion and it just became an excuse to sterilize anybody who opposed her politically. 28-year old male in Deerfield, Wisconsin, United States. As for the science end of it, you have to keep in mind that to truly eliminate all so-called undesirable traits is nearly impossible. Because of how genes encode there's always an element of chance involved. It's a long held myth that identical twins are completely genetically identical. In reality because of the element of chance involved in genetic encoding it's very unlikely for identical twins to truly be genetically identical. As David Eagleman says brains are like fingerprints no two are exactly alike. Also note that you can't truly isolate genes and environment as independent of each other, they only work the way they do when connected. Now with all that said, you could certainly confound for desired genes. As for the ethics/politics side of it, it really comes down to asking yourself what kind of society you want to live in. Do you want to live in a society that values hard work (Neuroplasticity *wink) and overcoming differences or do you want to live in a society obsessed with genes and talent -and likely willing to push it's way onto peoples lives forfeiting their freedom-? Might be easier to create some sort of "cure" that would interact with the person's physiology (amygdala primarily in this case) rather than getting down to the genes. But it's a thought. Also should society depends on what kind of measures you have in mind for my opinion. 22-year old male in Moorestown, New Jersey, United States. At some point, a tough decision has to be made. Unless, of course, we can live with the immorality and expenses that go with sustaining the current system. Well, my answer would depend on exactly how one would go about doing it. To me, the means are very important. If it was required to prohibit certain people from breeding, then I'd say that that society neither has the obligation, nor the right, to phase out traits. If the method was more voluntary, ie, some kind of gene therapy, then yes, I'd say the society has a right to do it. The problem with this kind of genetic manipulation is that we know very little about it, so f*cking with an individuals genome without their consent, and thereby unwittingly giving them some horrible degenerative disease instead, makes them complicit. I think of every self-imposed "great idea" as I would any pharmaceutical. Great, this is what it's supposed to do... but what are the side effects? Playing God is a dangerous proposition, and every conceivable hypothetical should be carefully examined before jumping headlong into things you can't take back once it's set in motion. Perhaps, but genes create the framework for behaviour and if you don't address the underlying cause, then it might revert back. You are conflating eugenics for genetic engineering. They are two different things. Eugenics is the active denying of reproduction, while genetic engineering is the altering of genes either in the embryo or gametes. Even so, you can't alter those without consent. I don't think so. 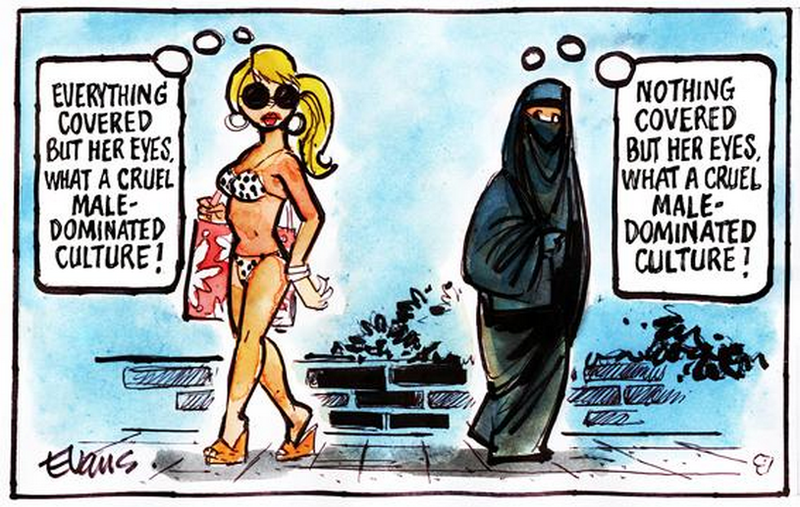 World is still full of prejudices. Appendix is not a trait. Even otherwise, I think appendectomy when needed is simpler. It really depends what you mean by undesirable because there's many different meanings of that. It covers everything from cancer to big ears. The more objectively undesirable it is the more I'd be inclined to say "yes." Also, the more the costs are outside the individual the more it becomes a collective responsibility.